Foster Homes – We Adopt Greyhounds, Inc. Since WAG adoptions are not done directly from the track, fostering is a very important way to help the Greyhounds get adjusted to life off the track and to evaluate each dog before being placed into its adoptive home. We do not have a kennel; we are an all foster home network. WAG foster homes provide the love and attention the hounds need while waiting for adoptive homes. 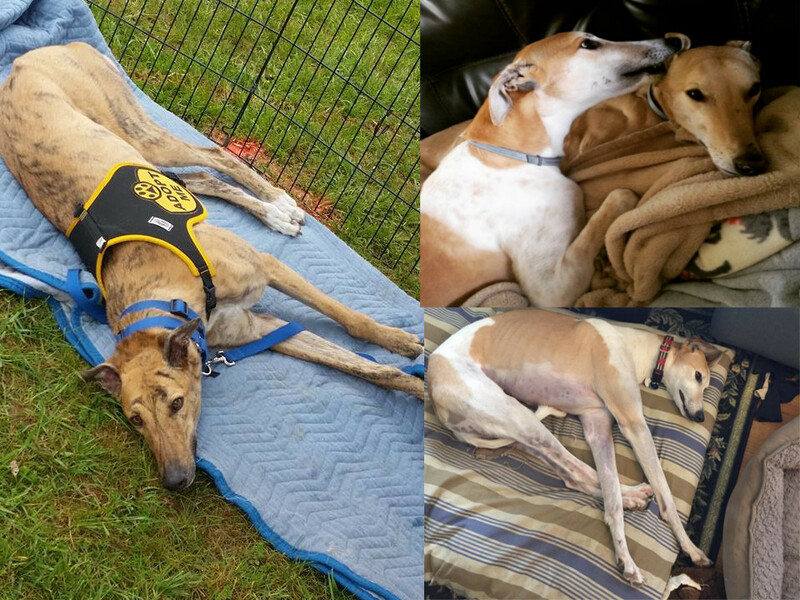 These retired racers know nothing about stairs, glass doors, slippery floors, sleeping on dog beds, etc., so they need the patience of a caring foster family to show them the ropes. Loving foster homes are also needed for situations in which an adopter can no longer care for his or her Greyhound due to illness or other extreme circumstance. What does WAG supply for foster parents? When you foster a Greyhound with WAG, we will supply the following items while the Greyhound is in your care. (Some foster parents choose to supply food or any other items for the Greyhound. It can be considered a tax write off to a charitable organization providing you keep receipts and proper documentation). Experienced WAG volunteers will provide support to new foster parents. WAG adoption representatives will respect the foster parent’s thoughts on the Greyhound’s transition and new home environment. In return, WAG requires each foster parent to communicate with the Foster Coordinator (Operations Director), other foster parents, and WAG volunteers via email, the WAG forum, or phone calls. As a foster parent, you must also attend local Meet & Greets and make the Greyhound available to adopters. If you cannot attend the event, you must make arrangements for another WAG volunteer to pick up the Greyhound. Foster parents may be asked to accompany a WAG Adoption Representative with their foster dog to a home visit to meet potential adopters. A good reference to read is Retired Racing Greyhounds for Dummies by Lee Livingwood. 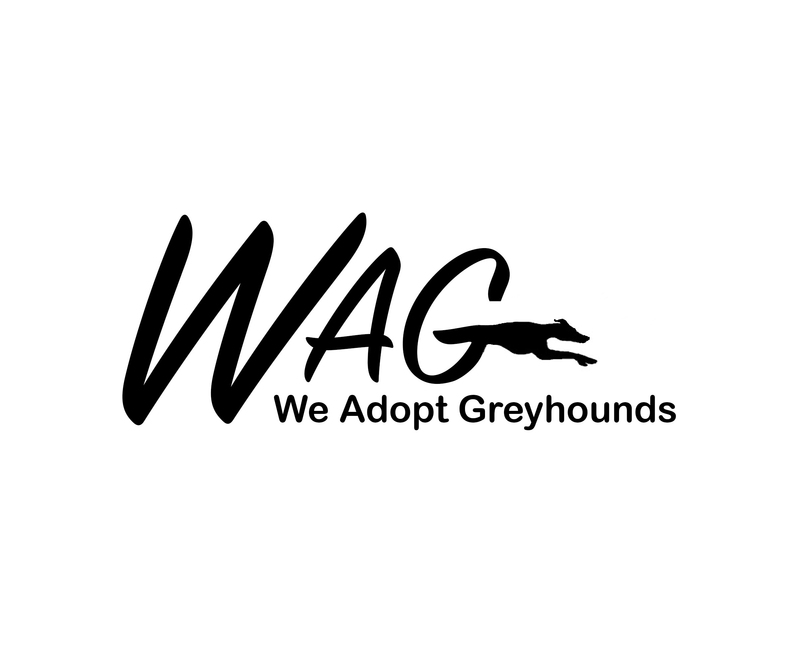 We also encourage you to participate in WAG events to familiarize yourself with Greyhounds if you do not have previous experience with this special breed. How do I sign up to be a foster? Fill out our Foster Home Application and get ready for something Greyt! Contact fostering@weadoptgreyhounds.org for more information.